Remy graduated from the University of Queensland with a Bachelor of Law and a Bachelor of Arts, double majoring in modern history. His studies included time abroad at the University of British Columbia, Canada in 2007. During his time at University he decided his path was in criminal defence and set about obtaining real world experience in that field. Remy initially joined Robertson O’Gorman in 2008. Since then, he has worked at two private law firms and at the serious crime team within Legal Aid Queensland. Over these many years, Remy has honed his skills working on matters ranging from traffic violations all the way to murder trials in the Supreme Court. Remy has earned a reputation as a hard working, results driven, solicitor. In 2016 Remy returned to Robertson O’Gorman well rounded from his practice in both the private and public spheres. Remy has a true passion for criminal defence and is committed to obtaining the best results for all of his clients. 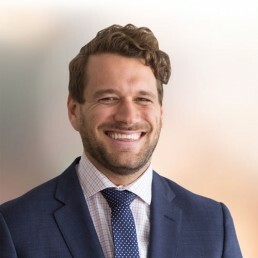 Through both his time in private practice and working for the Legal Aid office, Remy has developed exceptional communication skills which enable him to deconstruct the most complex legal issues and provide easy to understand advice. With experience as an advocate at all levels of Queensland courts, and tribunals such as QCAT, Remy is well placed to deal with your criminal law problem.